We offer different size of gas/vapor separator for different products. it is mainly installed before Mass Flow Meter . 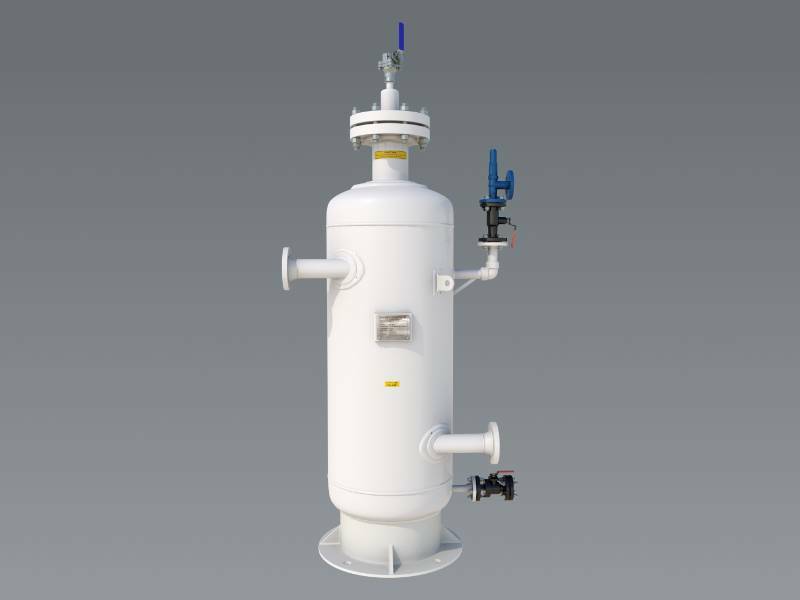 Application of gas separator is to separate any vapor that arise in the flow will vent through top vent valve and which is collected in common vapor recovery tank. hence due to removal of vapor accuracy of the Mass Flow Meter increases and hence accurate product reading will be shown by Mass Flow meter. We have supplied this equipments for products Like LPG to various oil marketing companies like OIL INDIA LTD, ONGC, HPCL and OEM like EMERSON PROCESS MANAGEMENT. Higher retention time can be customized. F3 0 - 4000 LPM F9 0 – 0 to Customer Specific Flow rate. If you want to order all above items kindly insert as A12345.